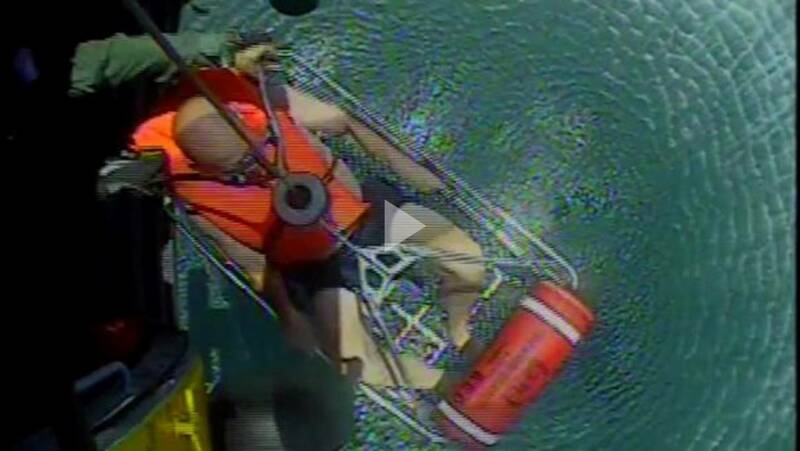 A diver in distress was rescued by U.S. Coast Guard (USCG) responders off the North Carolina coast on Sunday. Crew members aboard the 25-foot diving boat Under Pressure reported to USCG Sector North Carolina watchstanders in Wilmington, N.C. that a diver had surfaced with shortness of breath and dizziness 35 miles south by southeast of Wilmington. The diver was medevaced by a MH-60 Jayhawk helicopter crew and brought to Air Station Elizabeth City where awaiting EMS personnel transferred him to Sentara Norfolk General Hospital in Norfolk, Va.
A video of the medevac is available here.